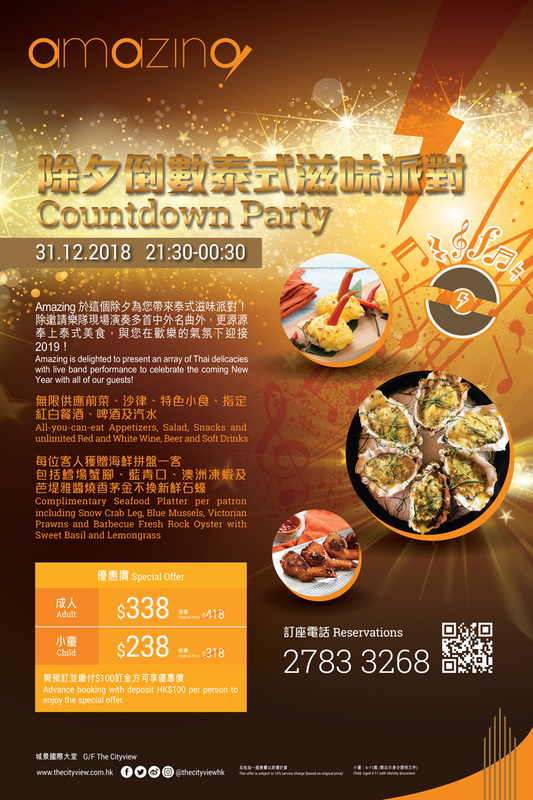 By presenting this page, or making the reservation via our official website, guests can enjoy discount price on Amazing Countdown Party upon advance reservation. For booking of Amazing Countdown Party, $100 deposit (per person) should be made verified by the restaurant. Deposit is non-refundable.